Florida is blossoming into a creative hotbed of it’s own. Following the lead of the well-verse South Florida, we have Euro Trill who is an artist that’s bound to leave a legacy much further than the state lines with her up & coming mixtape, plus other projects that are soon to come. 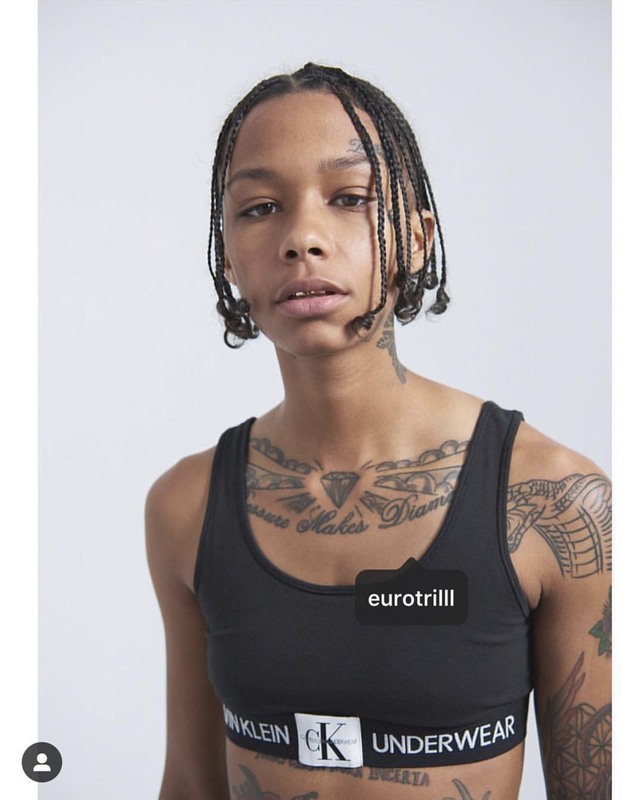 You may have heard of Euro Trill from her modeling including being one of the faces of Calvin Klein’s recent campaign, or maybe from the dynamic graphic art used for promotional companies throughout Florida, but be ready to embrace her vibes prone to hypnotize. “All Stars Die”, will be Euro’s follow-up project to her debut “I’m Your Bad News”, and was titled based on her belief that we must all experience an internal death to truly live “free”. The title holds multiple meanings to the German-born rapper and in relation to her personal experiences it was a self-made challenge for her to allow the inner-ego within her to die and to truly scratch her full potential as an artist. After revamping her approach to music she’s going 10 toes, and has tapped into more guitar, acoustically inspired sounds for this project to really feel the vibe. Be sure to check out her buzzing single llegal and the official music video above, and stay tuned for the release of Euro Trill’s project All Stars Die. February 10, 2019 by keemdelacremedelacreme.